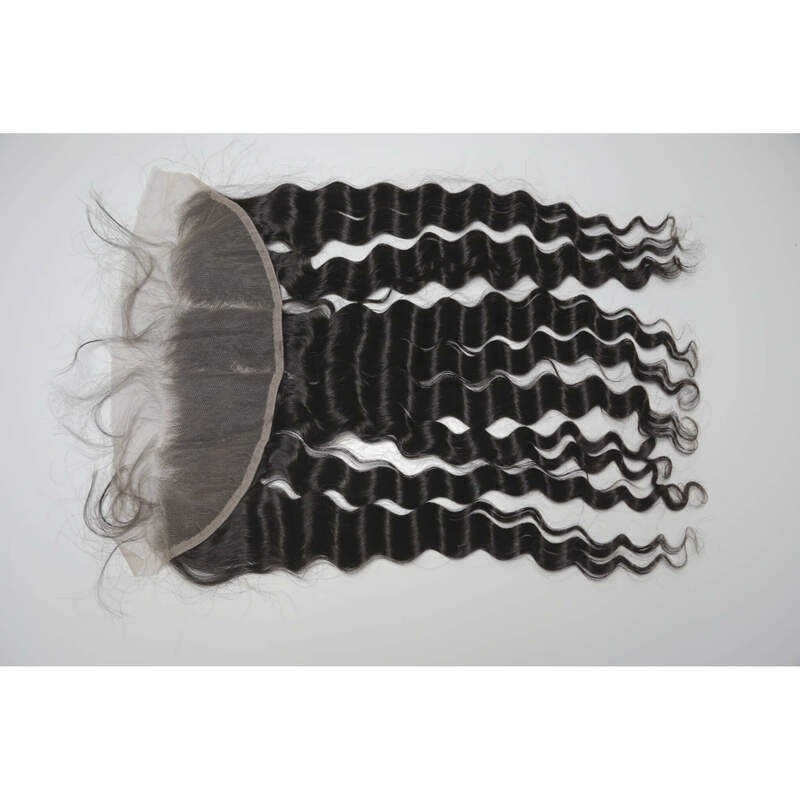 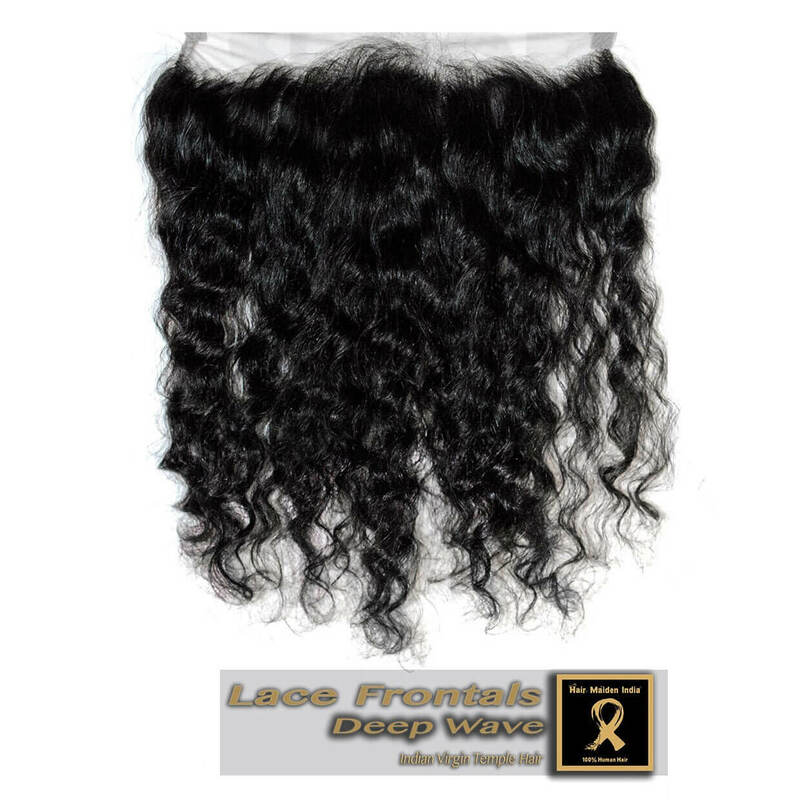 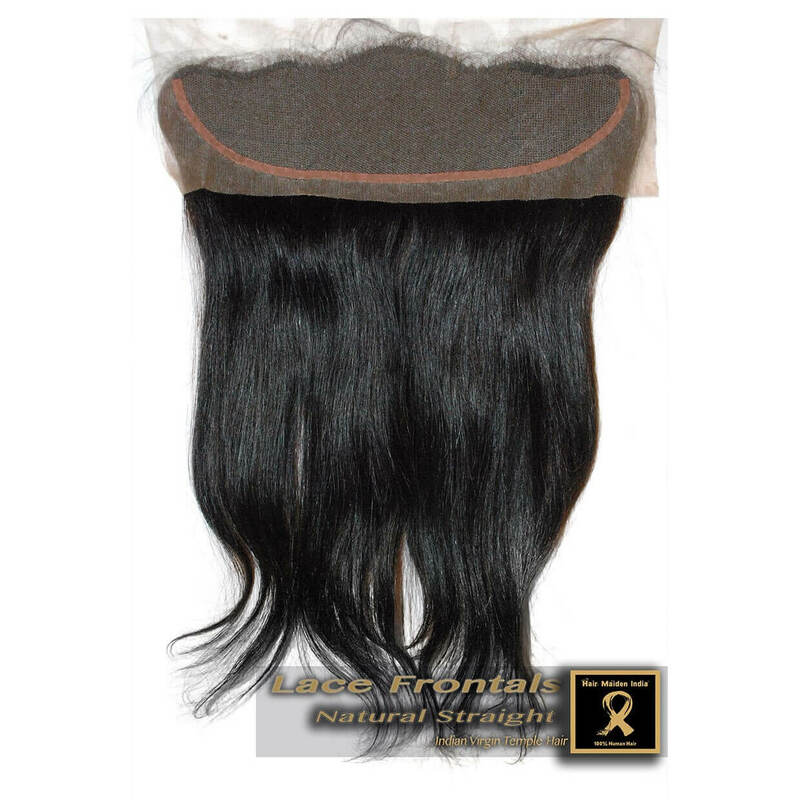 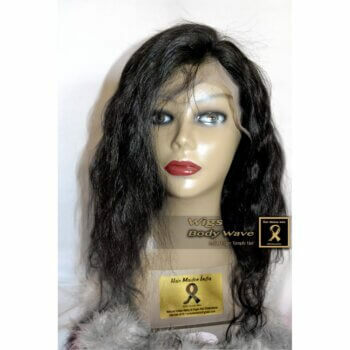 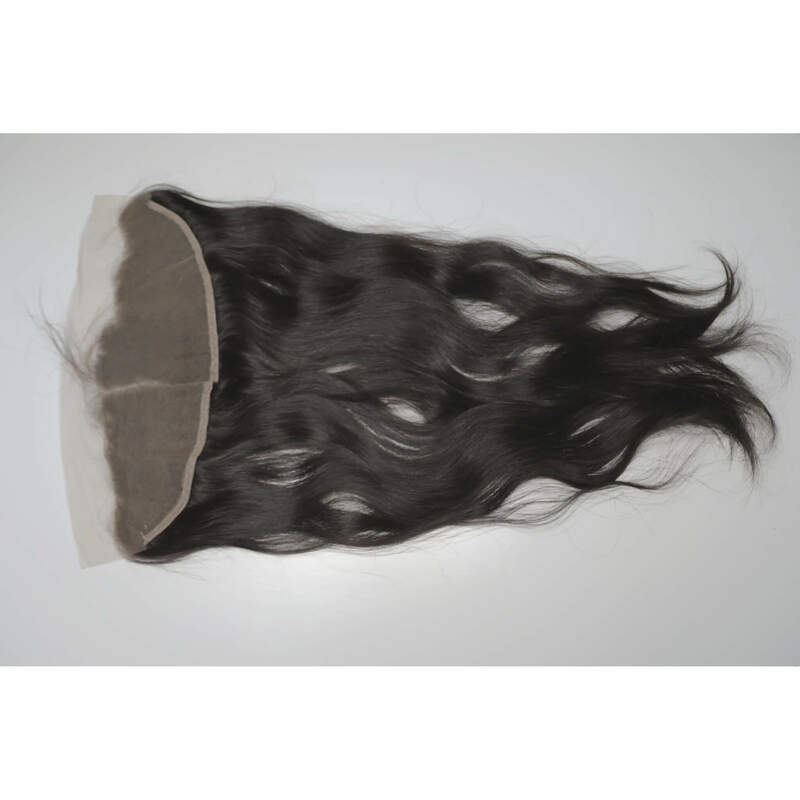 Our 13×4 lace frontal closures are made with 100% unprocessed premium Indian hair. 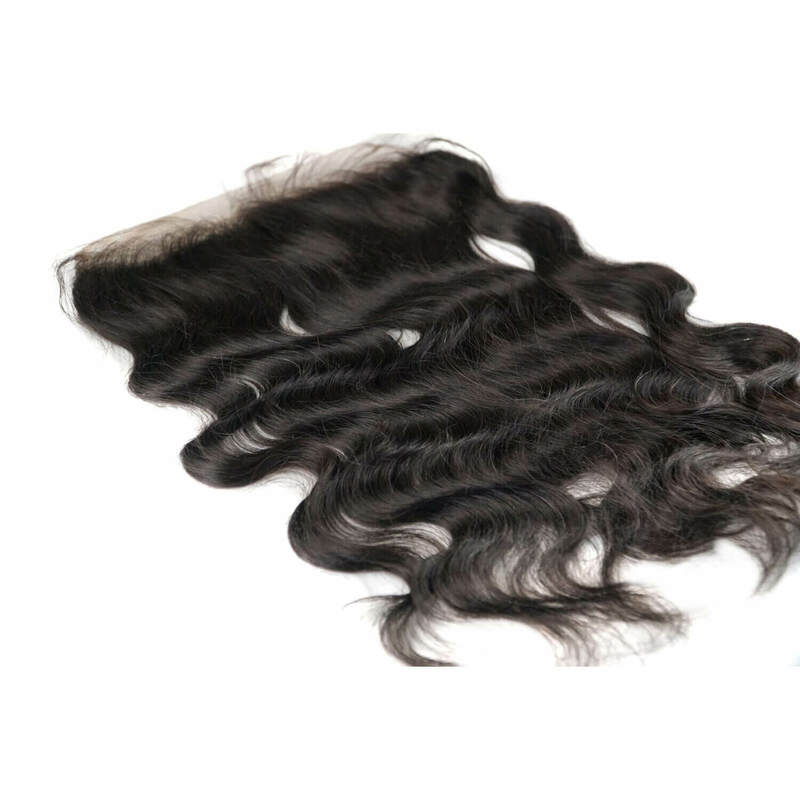 They come in natural colors and feature an average 135% density. 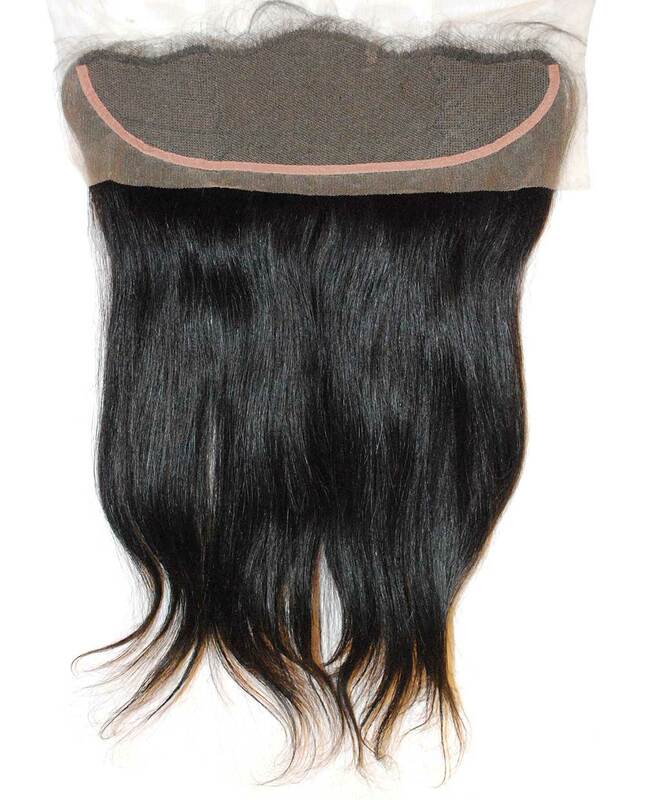 The parting style is free part. 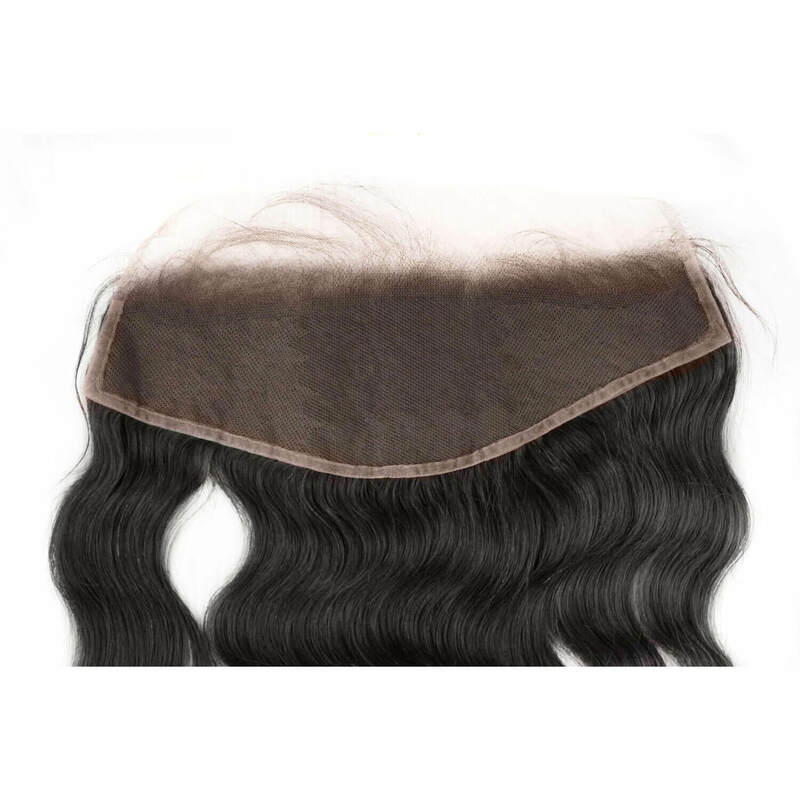 The knots are pre bleached and the hairline is pre-plucked with baby hair.These high quality frontals are soft, tangle-free and offer minimal shedding, since each knot has been hand tied at least 2 ½ times.Our beautiful lace frontals are made with care. 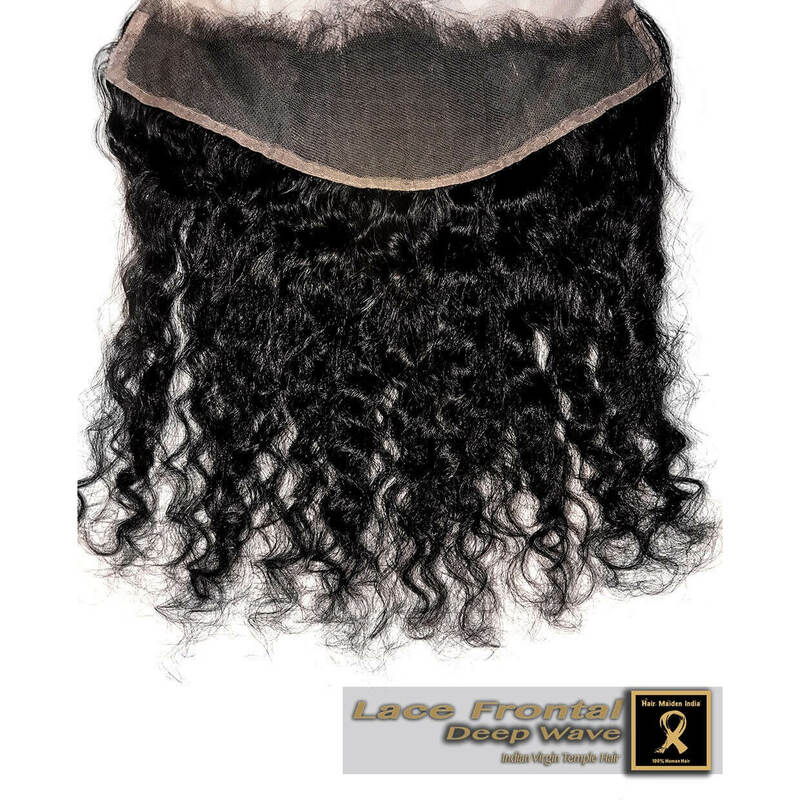 Each lace frontal is 13″ x 4″ Each frontal has double tied knots (at least) and are made with durable yet comfortable swiss lace. 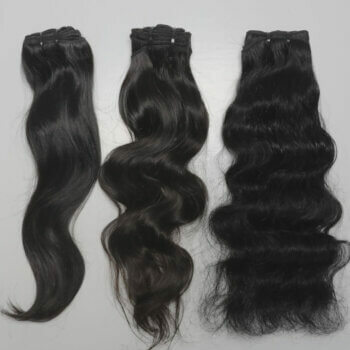 Each one comes with soft, beautiful, natural looking hairlines with pre plucked hairs. 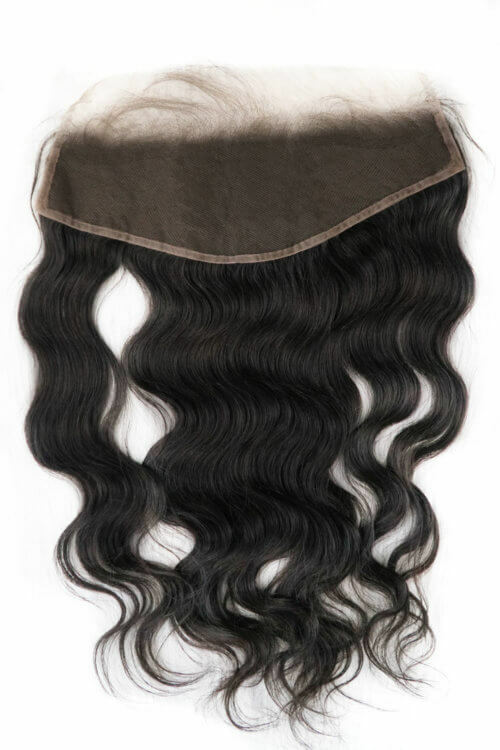 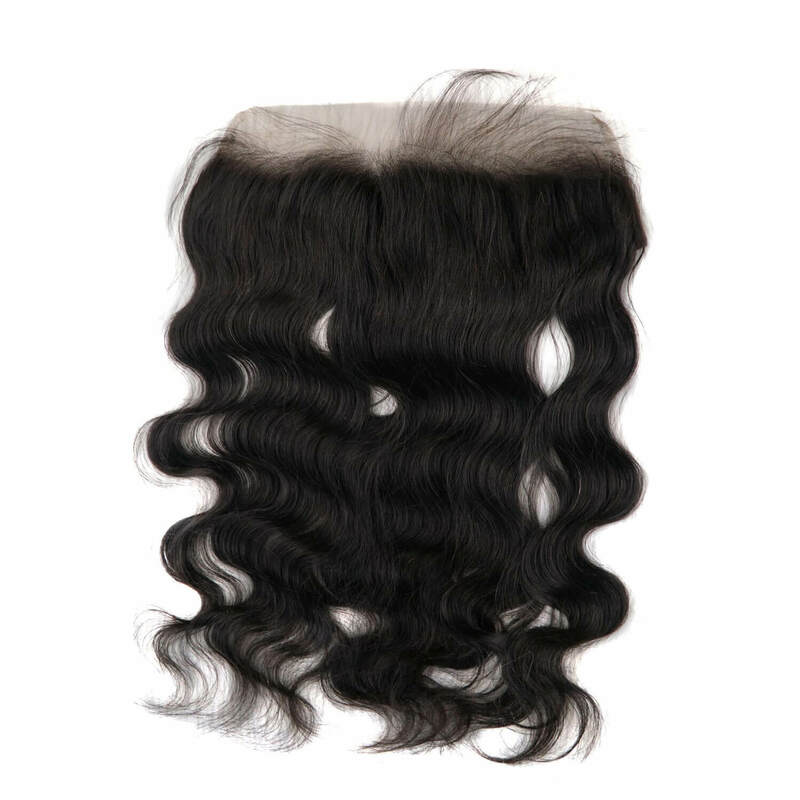 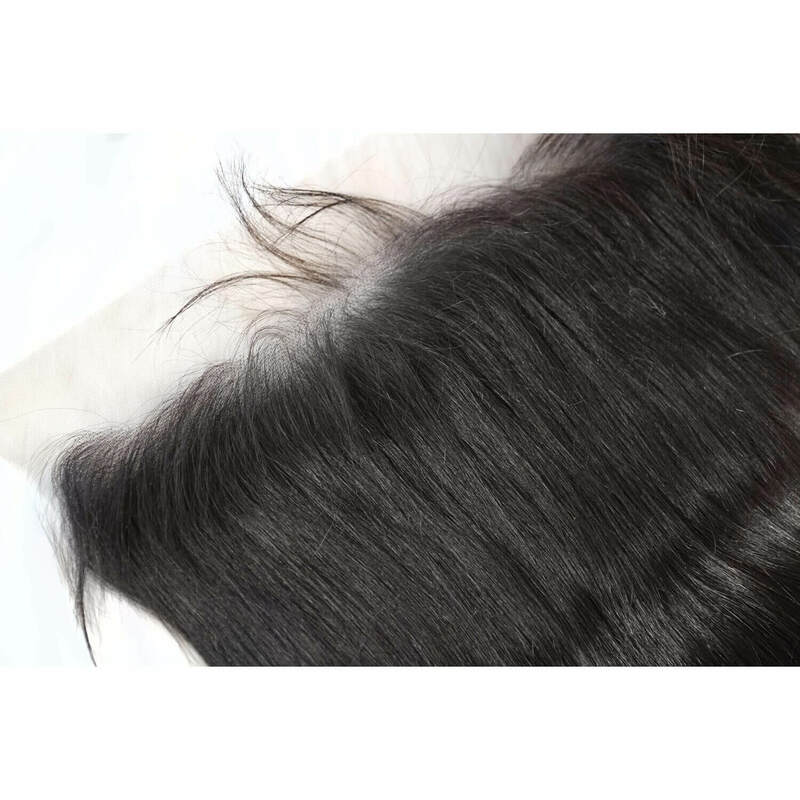 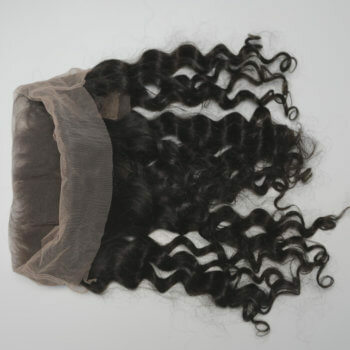 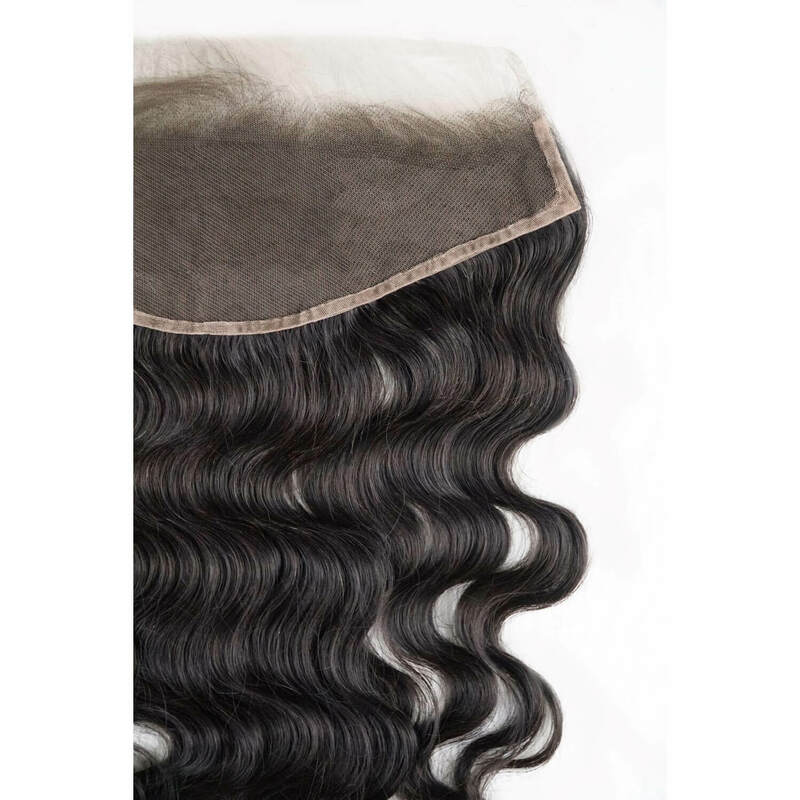 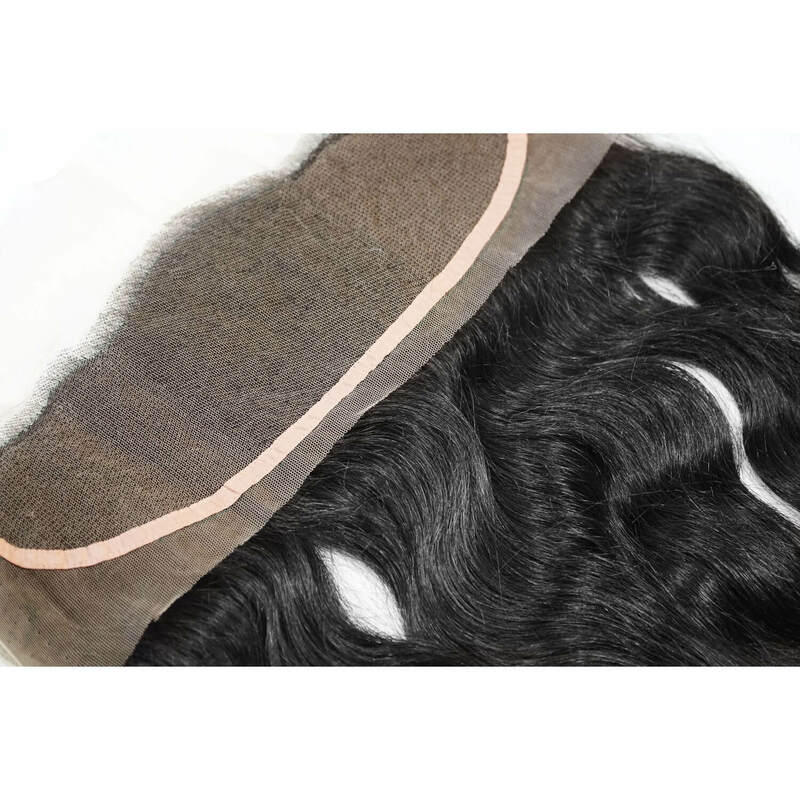 Our 13×4 lace frontals are made with 100% unprocessed premium Indian human hair. 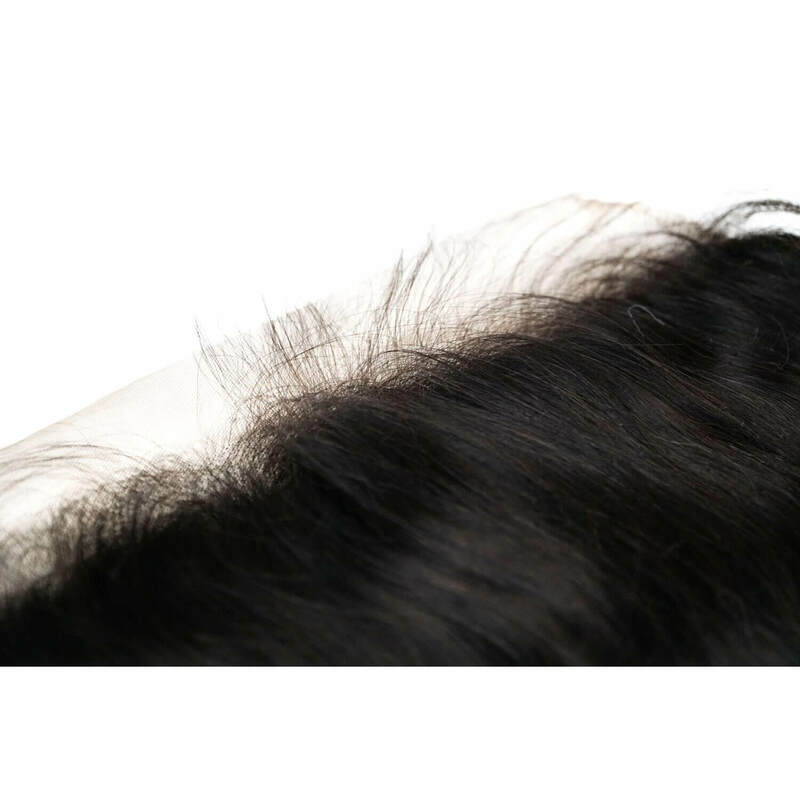 They are strong, invisible, tangle-free and do not shed. 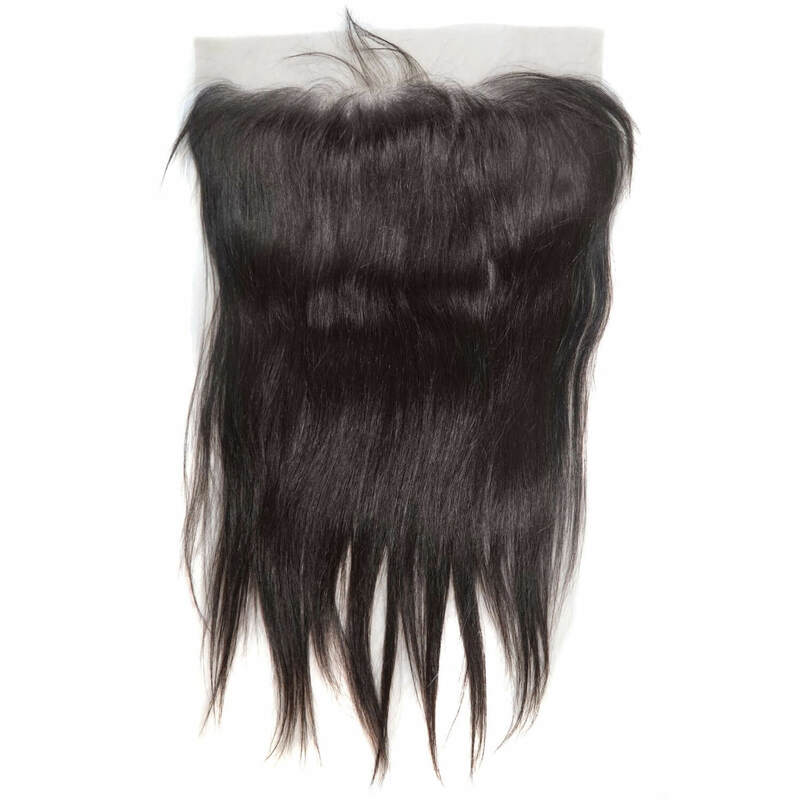 Each hair is individually implanted and they feature pre plucked baby hair and bleached knots. 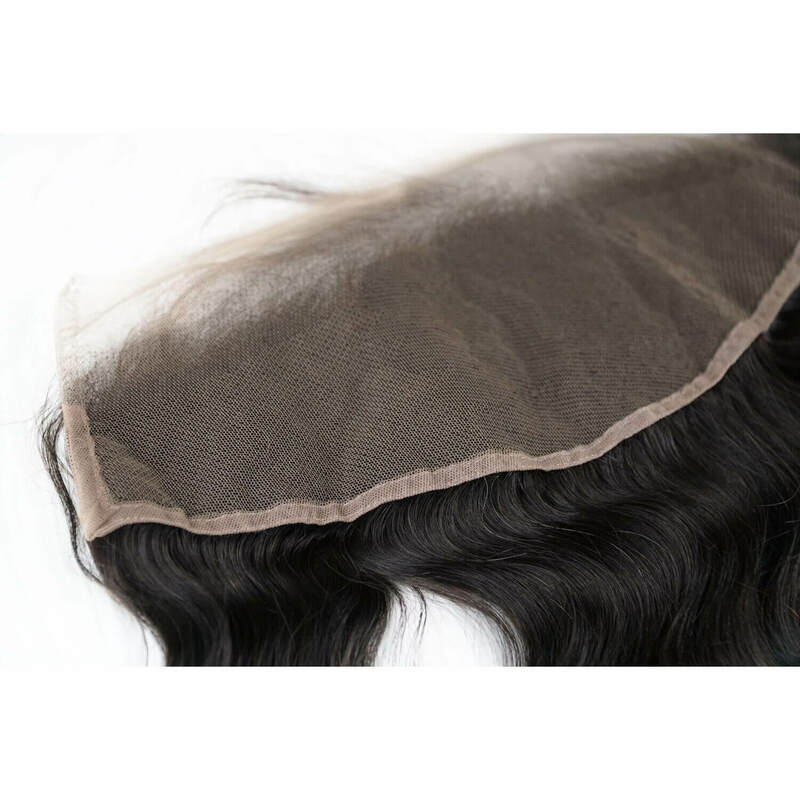 Our lace closures come in natural hair colors. 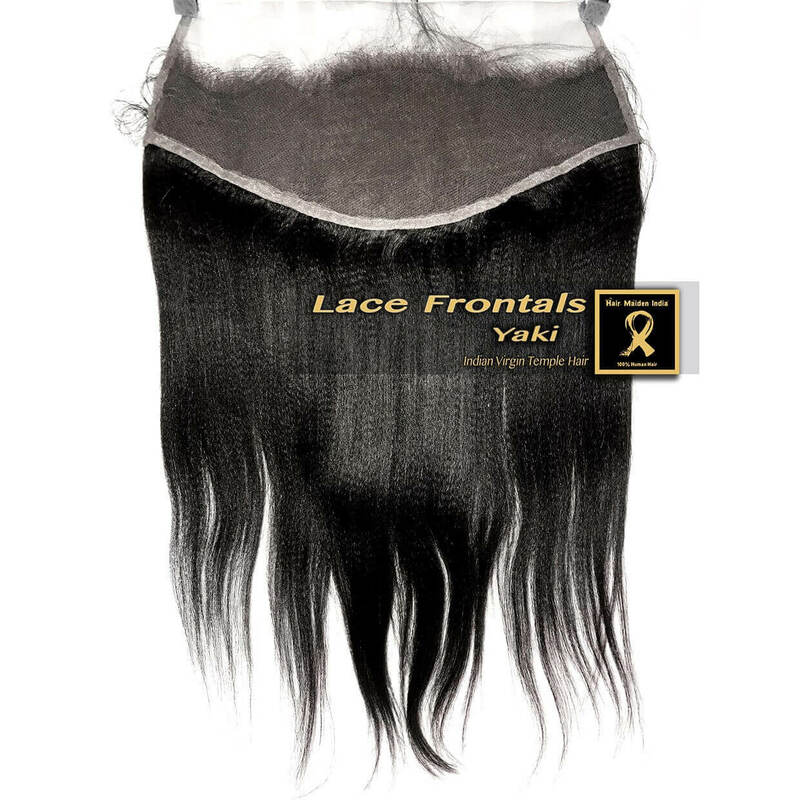 We instruct our designers to carefully hand tie each knot at least 2 ½ times to ensure when installed that there is no shedding resulting in thinning of the frontal. 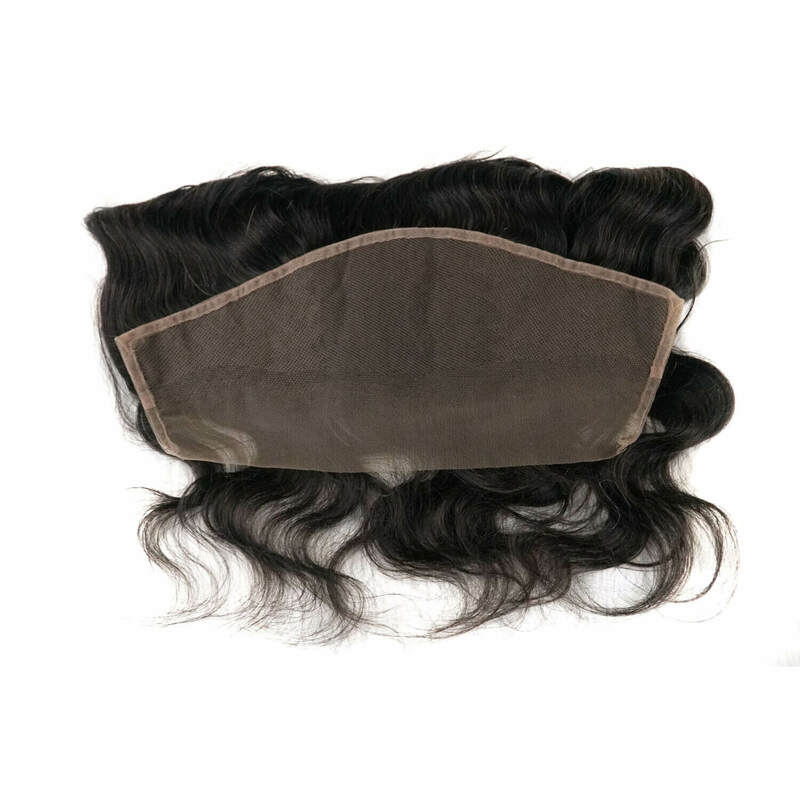 A Frontal goes from ear to ear and is perfect for clients who need to accomplish a natural looking hairline without leaving any of their own hair out. 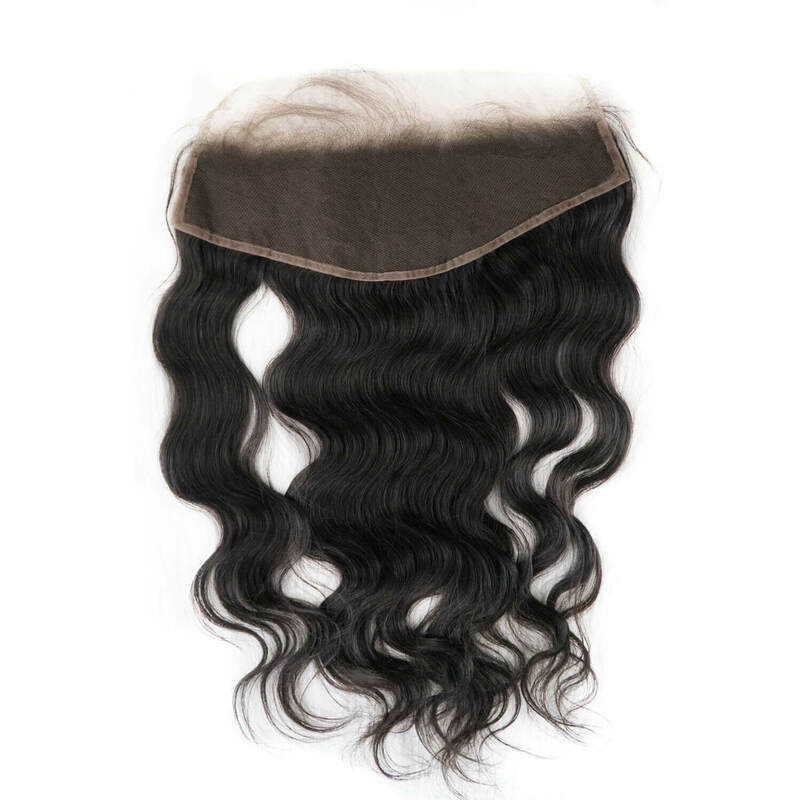 Our frontals will allow you to style your hair into a high bun or pig tails and more. 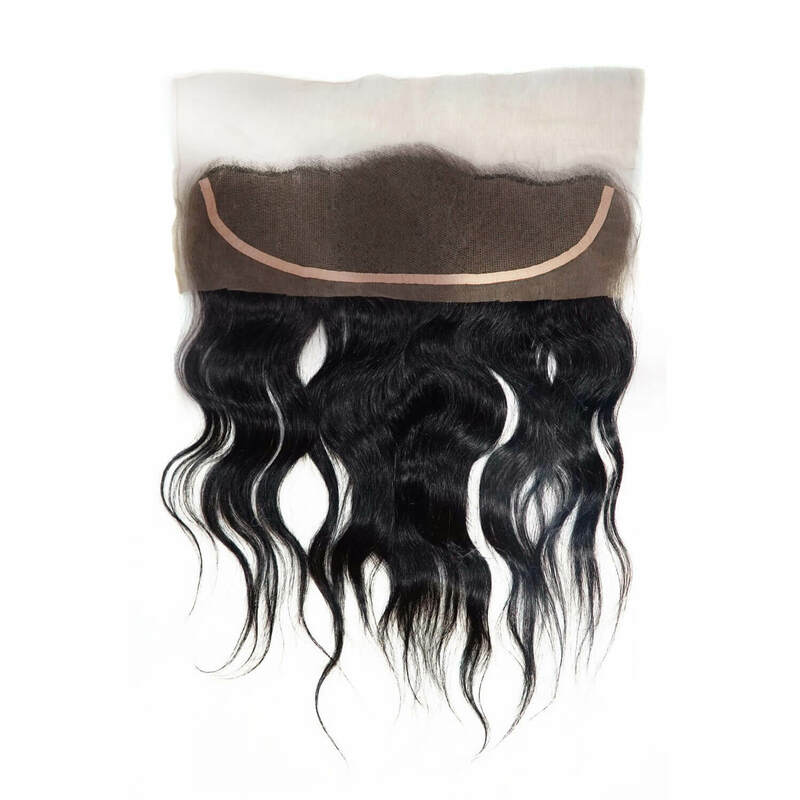 Our 100% Virgin Indian hair Lace Frontals are incredible for clients who are searching for a consistent more natural finishing to their style. 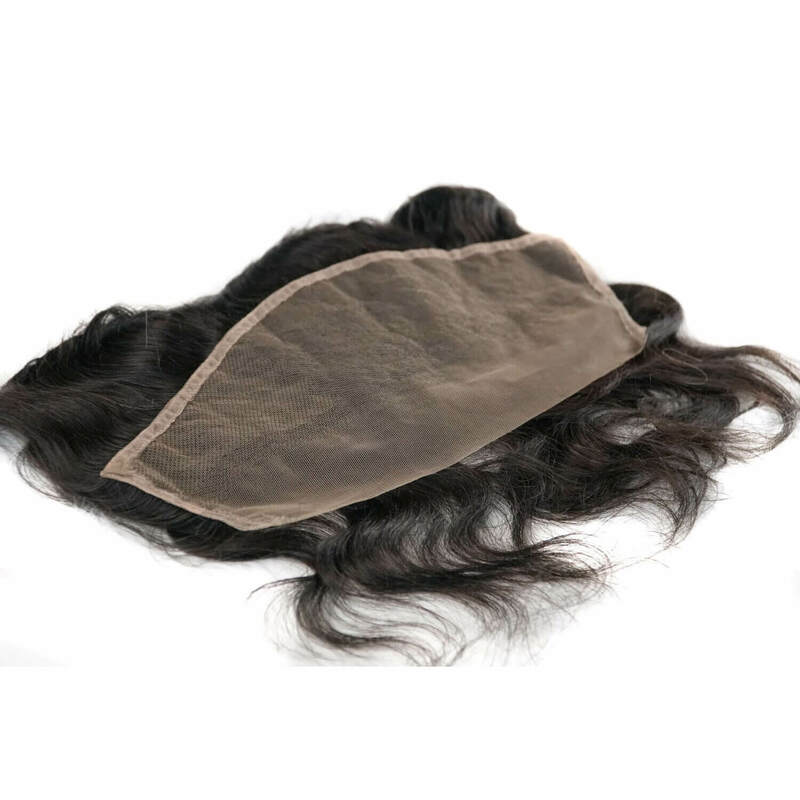 Our frontals are nearly undetectable and show up as your natural hairline from your scalp.